For a selection of property for sale in Senorio de Aloha in Nueva Andalucia we have a range of 2 and 3 bedroom apartments and penthouses for you to choose from. The development is situated close to one of Marbella's most prestigious locations, Nueva Andaluia. 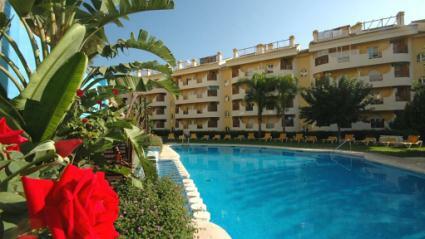 It is within walking distance of Puerto Banus as well as the beaches. You are also close to the Centro Plaza shopping centre where you will find a selection of restaurants, shops, beauty salons and more. Views from the urbanisation include both sea views, the mountains and La Concha peak as well as the world famous golf valley. Senorio de Aloha was constructed in 2002. It is a 3 star self-catering complex and properties include both 2 and 3 bedroom apartments as well as penthouses and duplex. Constructed as five blocks, each block has its own parking underground as well as storage areas. The landscaped gardens have 2 swimming pools and a children's pool as well as a paddle tennis court. Security is handled by 24 security and regular patrols.